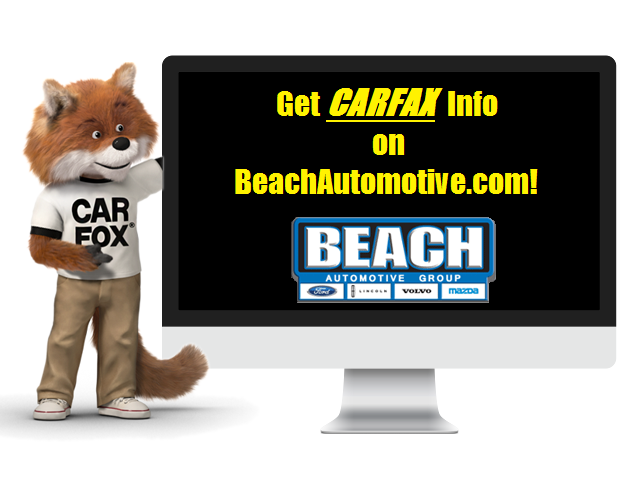 Did you know you can get CARFAX information right on BeachAutomotive.com? In 2014, CARFAX gave consumers the ability to search for used cars right on their own website. That’s a great tool, but why waste your time going through a third party to find a used car or truck? BeachAutomotive.com has offered this type of search feature on their own website for years now! Do you know what’s even better than that? All of our cars on our lot are right here in Myrtle Beach. 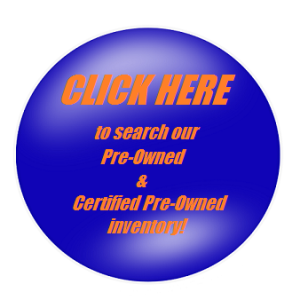 If we don’t have the exact car or truck you’re looking for, we can find it and bring it here for you. We won’t make you drive all over creation and back just to see a vehicle. You can even get CARFAX information right on our own website! Since Beach Automotive provides a vehicle history report for each and every used car we have for sale on our property, you don’t even need to leave our website to search for the vehicle’s history. 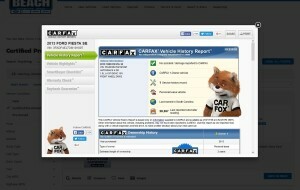 You’ll find the link for the CARFAX report just under the picture on the search page! If you go to BeachAutomotive.com or walk into our showroom, you can get CARFAX information for any of our pre-owned cars that we have for sale. We can print the report and hand it to you within moments. Beach Automotive can give you all of the information that about a used or pre-owned vehicle because the cars are right here! Who will know the vehicle better than us? Here at Beach Automotive, we want you to be comfortable buying a used car. We want you to be sure you’re not “buying a problem” when you buy a used car from us. We also want to know that we’re selling safe and reliable cars to our customers. Beach Automotive wants to know the pre-owned cars we sell are as close to perfect as possible, just like you expect. We’re not going to sell you something we wouldn’t let one of our own family members drive. 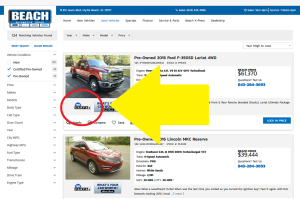 Check out BeachAutomotive.com’s Live Help feature today and let us help you get behind the wheel of your new pre-owned or Certified Pre-Owned vehicle today!